The Kentucky Veterinary Practice Act declares that the practice of veterinary medicine is a privilege which is granted by legislative authority in the interest of public health, safety, and welfare. The mission of the Kentucky Board of Veterinary Examiners is to carry out the General Assembly’s mandate, stated in KRS 321.175, to protect the citizens of the Commonwealth from being misled by incompetent, unscrupulous, and unauthorized practitioners, and to protect the Commonwealth’s citizens and animals from unprofessional or illegal practices by those persons who are licensed to practice veterinary medicine in this jurisdiction and those persons who practice without a license. The Kentucky Board of Veterinary Examiners issues two licenses and two certificates. The Board licenses veterinarians and veterinary technicians; the Board issues certificates for euthanasia specialists and authorization for animal control agencies to apply to the U.S. Drug Enforcement Administration (DEA) for a permit to handle and store controlled substances. 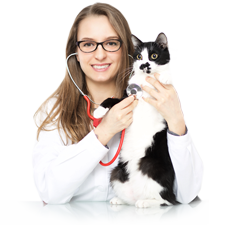 There are over 2,600 veterinarians holding a Kentucky license, over 400 licensed veterinary technicians, and more than 190 certified animal euthanasia specialists. In addition, the Board has certified over 50 animal control agencies to apply to DEA. Licensees can log in to KBVE’s online licensing system to update their name and address, request Letters of Good Standing, print copies of their licenses and ID cards, make payments, and more. If you are having any issue logging in, please email Vet@ky.gov for assistance. Have a course that is not already AVMA or RACE approved? Get credits authorized for your CEU offering by applying to the KBVE with the Continuing Education Request form. Have a complaint about a licensed veterinarian or other licensee in the Commonwealth of Kentucky? Click here for the Grievance Form and submit the form and all supporting documentation to Vet@ky.gov, or mail to the Board at 107 Corporate Drive, Second Floor, Frankfort, KY 40601.